There are not many – but they are there. Bloom scapes are starting. Plants ordered a few weeks ago are starting to arrive. Two orders came in this week and spaces were made. Daffodils and iris moved aside and more daylilies took their place. Shaka Zulu and several more are now in the garden. 600 seeds have been planted and they are starting to sprout. Along with 1800 weeds. Some things happen accidentally, like a plant that once planted changes the garden around itself. Perhaps this page will be like that. Even in ending – the next season is in a way beginning. The seeds from one year are of the same cycle as the fading leaves. Yet they mark the beginning of the next cycle, the year of growth to come. Even if it begins with a deep breath and a long pause. This page kinda found its own spot. It was meant to be just another post. One more among others. For now it will not be moved. Some new plants have been ordered. Well new to this garden. Trahlyta was introduced in 1982. It has been here 3 or 4 years. The tetraploid version, which I just ordered, has been around I will guess almost 10 years. I liked the original so much that I want them both. Think of them as nearly identical twins going in two different directions. Besides the new plants there are all those seeds collected from last year’s garden. Not even half of them will fit here. So the choosing must begin…… yes master Yoda I must focus. But they all look the same. Shiny little black gems full of promise. i love most bulb flowers they have such personality! new beginnings are always nice even better to motivate us, this is an invigorating post. I am new to gardening. But out of nowhere I have quickly acquired a passion. I am in the process of starting a small organic farm using the square-foot gardening method. I would like to eventually plant some flowers as well. Maybe soon. Right now I’m just hoping for a good season. I wish you well with your adventure gardening. Don’t forget to leave a few wild places for the predator bugs to live. I hope we all have a good garden season. We could do with a bit of calm normal weather. Flowers can be a good and beneficial addition to the garden. Ah, now this explains it. I wonder if that double yellow lily is a tetraploid. It’s petals were noticeably thicker than my other lilies and the color was intense. I noticed my lilies are just starting to put their tips up out of the ground! Yeah, Spring! I like the poetic words, “little black gems full of promise!” Great posts this season for making me want to get out and garden! I have to add after reading your post and looking at the beauty of spring and early summer flowers that I absolutely love irises and also, flowering trees. The wafting smell of lilacs and the irises met me at the bend of a walk recently. Thanks for the lovely read! I like your idea of ‘a plant that once planted changes the garden around itself’. It’s such a great observation. Are you growing all these gorgeous lilies in your garden? Truly eyesome!!! For a me good reason to follow you blog. Most of the pictures are from my garden. Others are from gardens that we have visited. I do grow a lot of daylilies here. 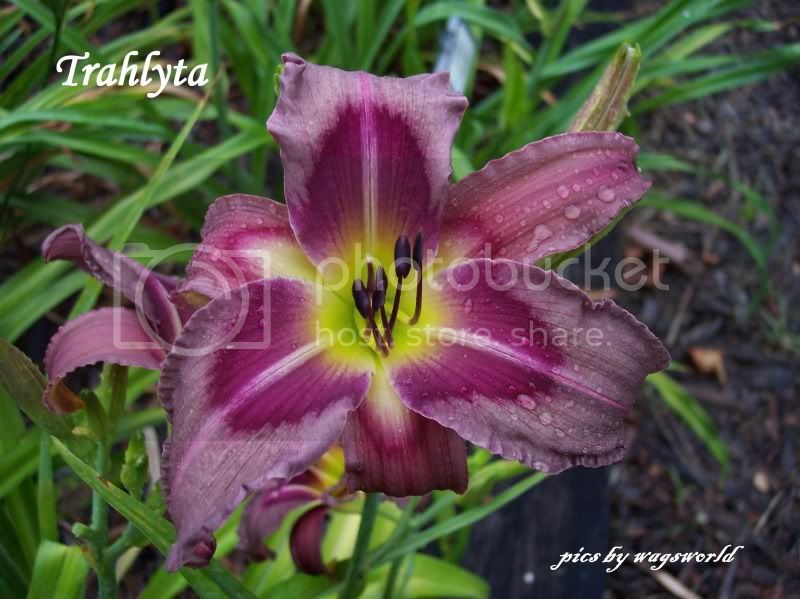 We have about 500 daylilies purchased from other growers. In many, though not all, cases they are purchased from the hybridizer. The person who made the cross and grew, selected, and named the seedling. Every year about 500 seeds are planted here in the garden. It is our own game of daylily musical chairs. Glad you enjoy the flowers. Really amazing!! We would like to be there.